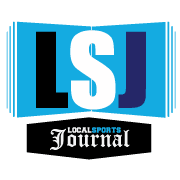 WHITEHALL – Any high school basketball team would be happy to win a district championship game – even when the margin of victory is an undramatic 38 points. 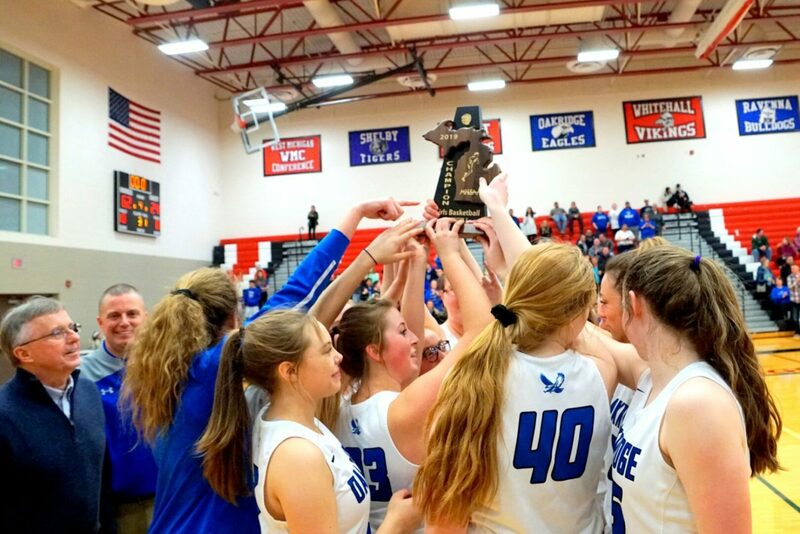 But the Oakridge girls basketball team was even more emotional than usual following its 62-24 Division 2 district final victory over Fruitport at Whitehall High School on Friday. Part of the reason was that Oakridge has been through a very tough season. The Eagles had an unexpected jolt in December, when longtime coach Terry DeJonge suddenly resigned, and Brad Tate stepped into the job. But the transition went amazingly well, culminating with a West Michigan Conference championship and the district title on Friday. And the best could be yet to come for Oakridge, which was a state quarterfinal team last season. “Having to battle adversity throughout the whole year, and to have it all come together is a blessing,” said star senior guard Sophia Wiard, who now has four district titles in her career. 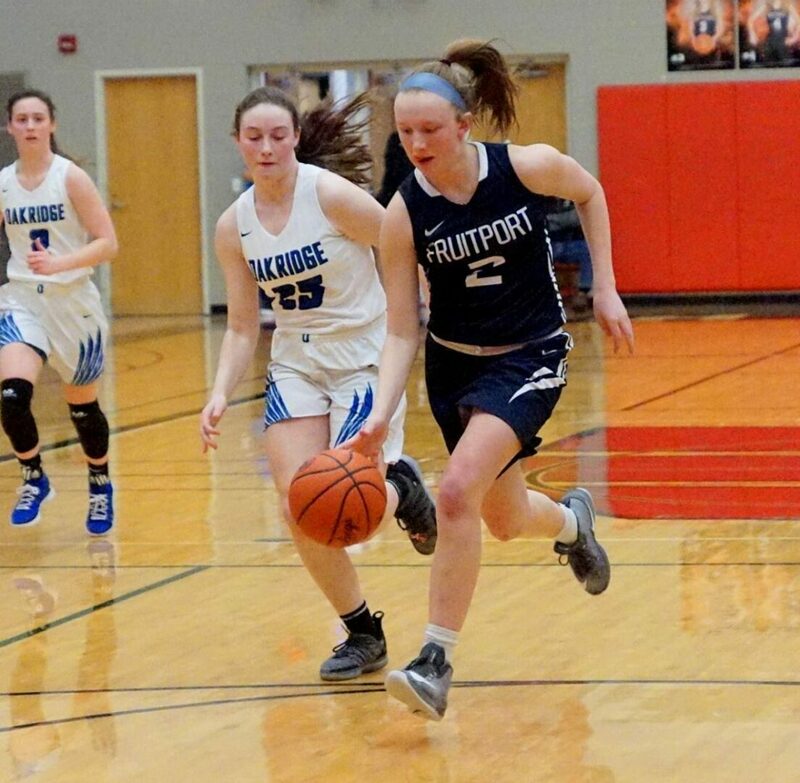 The Eagles came together from the start on Friday, holding Fruitport to only two points in the first quarter and jumping out to an 11-2 lead at the buzzer. 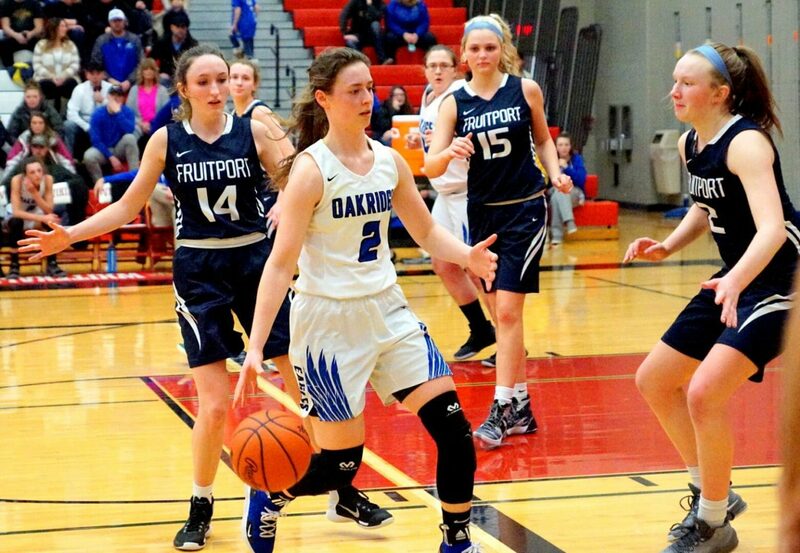 Brianna Pastor led Oakridge with six points with two 3-pointers. 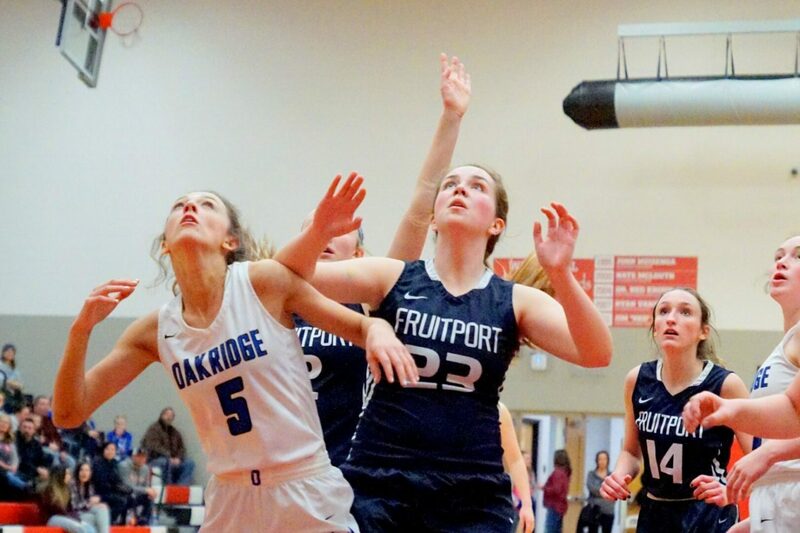 Fruitport found some offense in the second quarter, but Oakridge held a 30-13 lead at halftime. 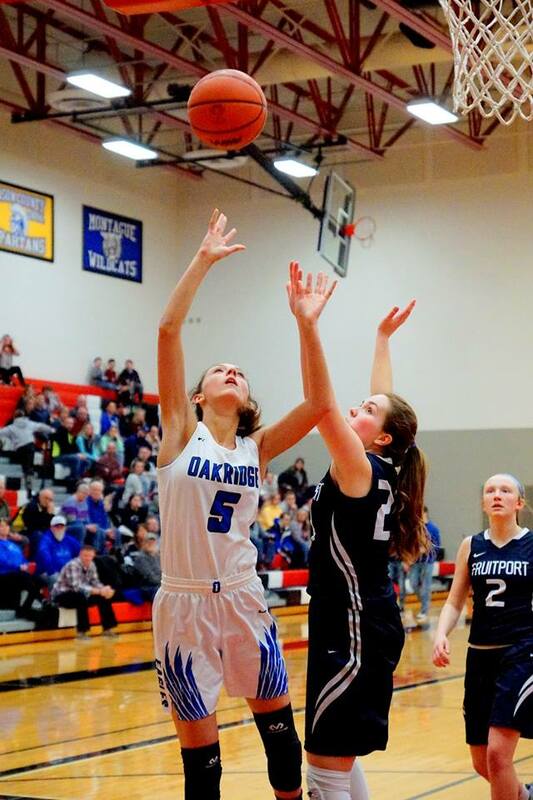 Wiard got hot in the third quarter, scoring eight points and helping Oakridge take a 46-17 lead into the fourth. Oakridge was able to clear the bench and give some of its reserves playing time in the final eight minutes. One was sophomore Emma Fri, who scored five points in the final 2:09. Wiard led all scorers with 25 points while Kyla Steward finished with 12 for the Eagles. Fruitport, finishes the season with a 5-18 record, was paced by Andi Quasebarth with seven points. 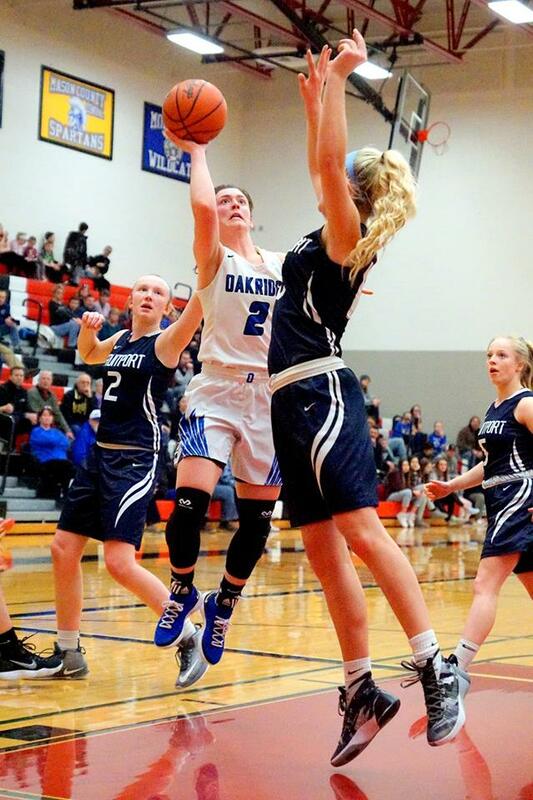 Oakridge moves on to face Grand Rapids Catholic Central in the Division 2 regional semifinals at Coopersville on Monday, with game time set for 7 p.m.